The House will vote on the Defense Authorization bill (NDAA), Zika funding, and Military Construction-VA Appropriations. The Senate continues work on Transportation/Housing Appropriations, with a Zika funding provision. 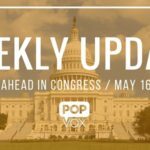 The Senate will consider the “THUD” and “MilCon-VA” appropriations bills together, as a substitute amendment to H.R. 2577. The Senate THUD bill provides $56.5 billion to fund the U.S. Department of Transportation, U.S. Department of Housing and Urban Development, and related agencies. The Senate will also consider the Military Construction-Veterans Affairs (MilCon-VA) Appropriations bill in the same legislative package. The Senate MilCon-VA bill provides $83 billion to fund the Department of Veterans Affairs, construction projects across all branches of the military, and related agencies. Read more about the details of each spending bill. 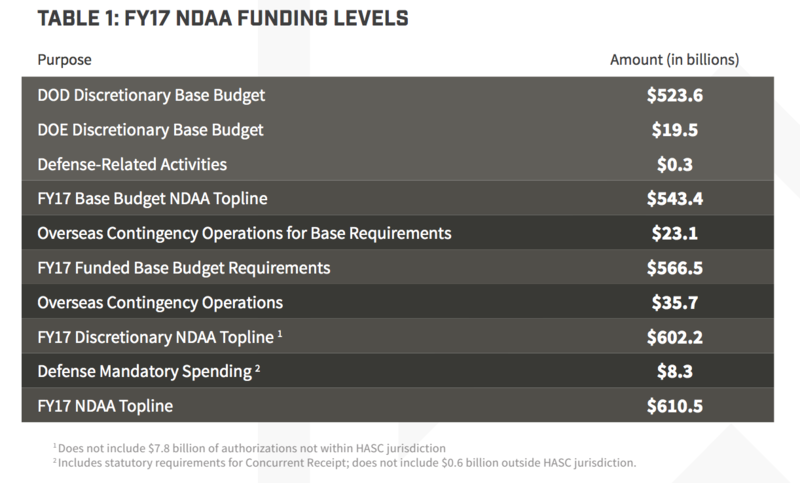 This week the House will consider the National Defense Authorization Act (NDAA), which lays out the budget and expenditures for the Department of Defense. The bill passed out of the Armed Services Committee by a vote of 60 YAY – 2 NAY. Provides $81.6 billion in discretionary funding – $1.8 billion above the fiscal year 2016 level. Funding for the Department of Veterans Affairs (VA) is increased by 3 percent over the fiscal year 2016 level – including additional funding to address management problems and health care shortages, and to increase the speed, efficiency, and effectiveness of its services to veterans. Eliminates the National Pollutant Discharge Elimination System (NPDES) permit requirement for the application of pesticides authorized under the Federal Insecticide, Fungicide, and Rodenticide Act (FIFRA) and the Federal Water Pollution Control Act. H.R. 1150 would make several changes to the Office of International Religious Freedom and programs promoting international religious freedom within the Department of State. H.R. 4743 would authorize the Department of Homeland Security (DHS) to work with a consortium, including the National Cybersecurity Preparedness Consortium (NCPC), to assist state and local governments to prepare for, and respond to, cybersecurity risks and incidents over the five-year period immediately following the bill’s enactment. H.R. 4780 would require the Department of Homeland Security (DHS), within 180 days of the bill’s enactment, to transmit to the Congress a comprehensive three-year strategy to enhance DHS programs that deploy personnel and resources abroad to screen persons seeking to enter the United States. H.R. 4407 would establish a counterterrorism advisory board in the Department of Homeland Security (DHS). The board would consist of senior representatives of operational agencies within DHS (such as Customs and Border Protection and the Coast Guard) and offices in DHS headquarters, including the Office of Intelligence and Analysis. The board would meet on a regular basis to coordinate departmental activities to combat terrorism. Taiwan and the "Six Assurances"
The Six Assurances are guidelines used in conducting relations between the United States of America and Taiwan. They were proposed by the Taiwanese government in 1982, as President Reagan was negotiating the “Third Shanghai Communiqué” between the U.S. and China. 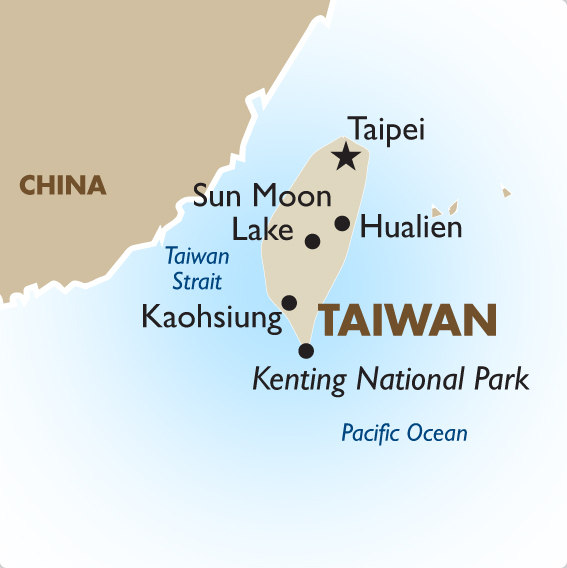 not formally recognize Chinese sovereignty over Taiwan.